To increase internal tourism in Peru, the government created a number of non-work days throughout the year. 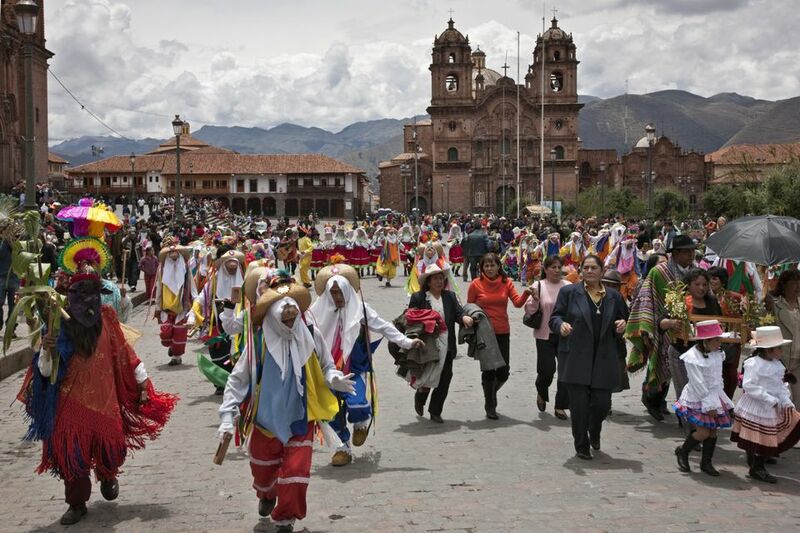 Some of the holidays, like Holy Week (Easter) and Christmas, are celebrated throughout the world, while others, like Labor Day and Independence Day, are unique to Peru. The Peruvian government calls non-traditional holidays, the días no laborales, which means "the non-working days," bridge holidays, or long holidays. Peruvians usually get these additional days off work throughout the year, and these days normally fall immediately before or after a national holiday, which creates extended holiday periods. Additionally, many of these national holidays fall during the celebrations of major festivals and events in Peru, so you might want to consider travel during this time to dive further into the Peruvian culture. Conversely, you might want to avoid it entirely since the crowds, prices, and travel options will be more strained during that time. Peruvians are often on the move during public holidays, particularly major national holidays such as Christmas, New Year's, and Good Friday, so transport and accommodation prices can sometimes rise during those times. More importantly, it is worth trying to purchase plane and bus tickets further in advance than normal as seats can sell out quickly for the days before, during, and after a national holiday. Travelers should consider making advanced reservations for bus travel and flights during these periods to avoid overpriced tickets and sold-out fares. Travelers intending to book hotel or hostel reservations during the most popular or important holiday periods should plan ahead and book early, too. Finding a room in Cusco or Puno during Holy Week, for example, can be difficult if you leave your reservation until the last minute. You may find something, but your options may be limited. There are a few other days not listed that are considered "observances" like Three Kings Day or Mother's Day. Most businesses are not closed on those days and are not considered "national holidays;" however, the region recognizes those days as having special significance. January 1 New Year's Day (Año Nuevo) Much like in the U.S., this holiday begins the night before with a big party, which continues on January 1. March/April Maundy Thursday (Jueves Santo) This day is part of Holy Week. It is the day that commemorates the Last Supper. March/April Good Friday (Viernes Santo) Also part of Holy Week, this day commemorates the execution of Jesus by crucifixion. These parades are usually quite solemn. May 1 Labor Day (Día del Trabajador) This day off for Peruvians, much like American Labor Day, usually involves a large amount of beer. June 29 St. Peter and St. Paul Day (Día de San Pedro y San Pablo) This day commemorates the martyrdom of the apostles Saint Peter and Saint Paul. July 28 and 29 Independence Day (Día de la Independencia/Fiestas Patrias) These days celebrate the independence of Peru from Spain. You can expect parades, parties, schools out, and lots of businesses closed. August 30 St. Rose of Lima Day (Día de Santa Rosa de Lima) Peru's most famous saint is celebrated with a day off. October 8 Battle of Angamos (Combate de Angamos) On this date, Peru remembers a key battle during the War of the Pacific against Chile and the death of Peruvian naval hero Admiral Miguel Grau. November 1 All Saints' Day (Día de Todos los Santos) All Saint's Day is a colorful day of family feasting. December 8 Immaculate Conception (Inmaculada Concepción) This is a major religious feast day in Peru and throughout the Catholic regions of the world. December 25 Christmas Day Christmas is celebrated much like other countries of the world.